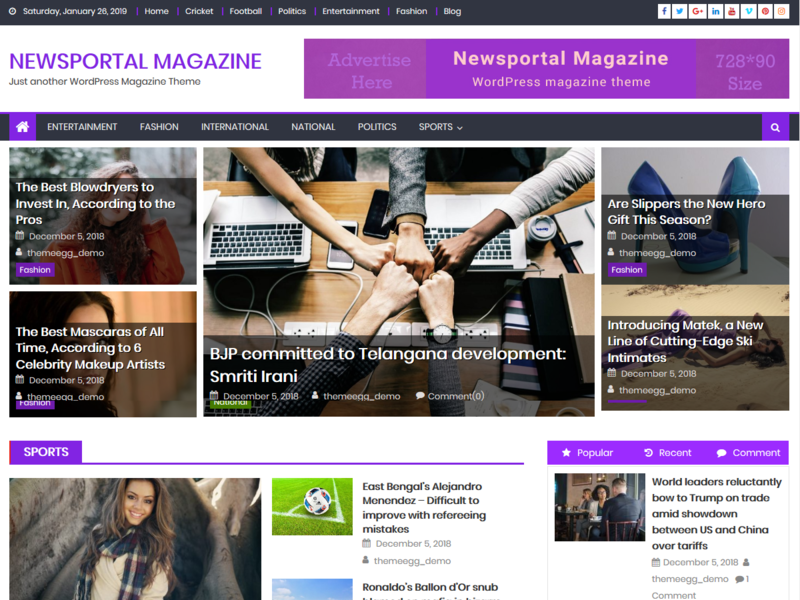 Newsportal Magazine is a responsive newsportal style Free WordPress theme. This theme is mainly applicable for online magazines, newspaper, publishing, personal blogs and any kind of news sites. You can check demo from https://demo.themeegg.com/?name=Newsportal%20Magazine .